Ardbeg is revered around the world as the peatiest, smokiest, most complex whisky of them all. Yet it does not flaunt the peat; rather it gives way to the malt, the natural sweetness of which subtly intrudes and produces perfect balance. 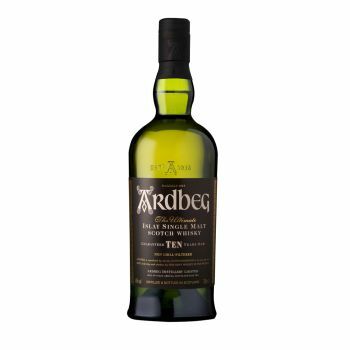 The core expression of the Ardbeg portfolio is Ardbeg Ten Years Old. Launched in 2000, it was an instant hit with connoisseurs and peat-aficionados the world over and has retained its place at the top table ever since. In 2008 Jim Murray’s Whisky Bible named it World Whisky of the Year.